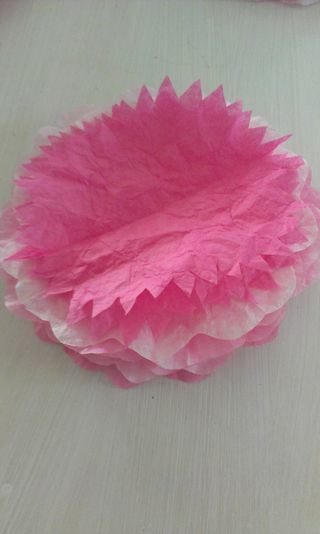 Paper flowers are an art, but there are methods out there that are fairly easy to learn and you can make them out of dyed coffee filters or even tissue paper! 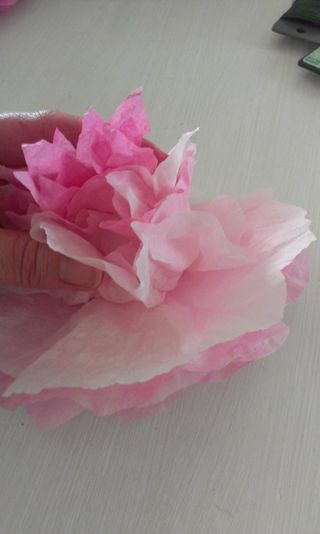 The first step is to layer your dyed filters or cut your tissue paper into circular shapes. 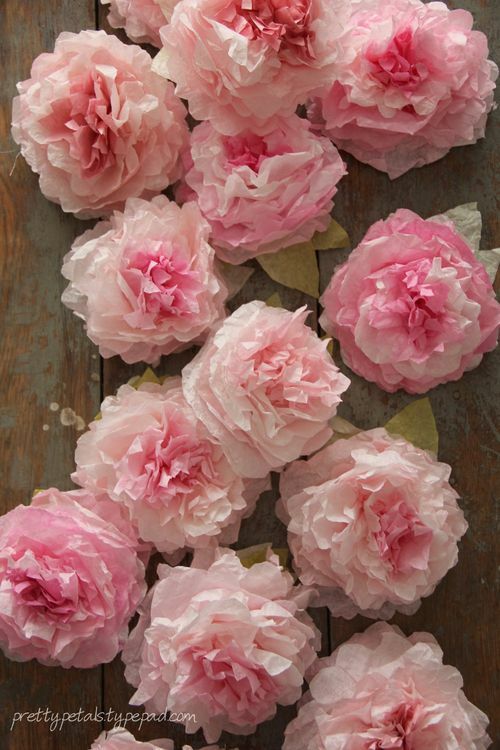 Peonies are darkest in the center and on the edges, so keep that in mind. Cut the darkest colors with jagged edges and the lighter colors with more rounded shapes. You should end up with two circles that have pointy edges and eight circles that have wavy edges. Then, poke two holes in the center of your flowers with a piece of wire (floral wire will work fine) and pull the ends through the back. All you need to do after that is begin pulling the layers towards the center one at a time! Onc they have all been scrunched up together, you can add leaves to the backs or just leave them plain! The beauty in this style of flower is that they don’t need to be perfect, but a lot of them all jumbled together is truly stunning. Many brides are searching for alternatives when it comes to having flowers at their weddings and receptions, and creating paper flowers for bouquets and centerpieces is one of the easiest and cheapest options. Do you love these flowers? You can find more details here.